You may remember Newsweek creating headlines around the world when it “outed” the creator of digital currency Bitcoin as being a 64-year-old Japanese American living near Los Angeles. 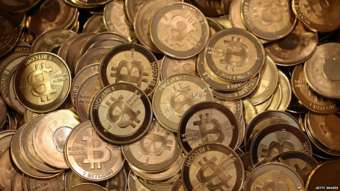 The magazine said it had found the mysterious “Satoshi Nakamoto”, the man whose name has been linked with the creation of the currency. That “scoop” apparently proved false – Dorian Nakamoto (birth name Satoshi) ended up suing Newsweek after he said his life was turned completely upside down. And so it is with that rigmarole still fresh in our minds that I tentatively offer this article from Wired which says Bitcoin creator “Satoshi Nakamoto” is a pseudonym used by a 44-year-oldAustralian cryptologist named Craig Steven Wright. Bitcoin is a virtual currency built around a complicated cryptographic protocol and a global network of computers that oversees and verifies which coins have been spent by whom. Its anonymous nature means it is a popular choice for criminal activity as it is extremely difficult to trace who is spending Bitcoin. The currency’s creator (or creators, perhaps) is proving just as difficult to trace. Wired cite leaked documents it says shows communication between Dr Wright and his lawyers in which he is reported to have said: “I did my best to try and hide the fact that I’ve been running Bitcoin since 2009. I’ve tried to reach Dr Wright, but to no avail. His blog was taken offline shortly after Wired published its report, while Dr Wright’s Twitter account went from being protected to being deleted altogether. According to the online profiles that remain online, he runs DeMorgan Ltd, a Sydney-based company that looks at “alternative currency”. – Blog posts apparently published well before the launch of Bitcoin sharing and seeking expertise on creating cryptocurrencies. – A request for people to email him details by using an encrypted key previously linked to someone identifying themselves as being Satoshi Nakamoto. – A post announcing the launch of Bitcoin that was later deleted and replaced with a note saying “the best way to hide is right in the open”. Furthermore, leaked emails and transcripts back up what the magazine says – pointing to Dr Wright having huge stashes of Bitcoins, which he among other things used to invest in setting up a Bitcoin bank. But, and it’s a big but, Wired is quick to pre-emptively point out the potential holes in its theory – saying it could be a very elaborate hoax. “The unverified leaked documents could have been faked in whole or in part,” the magazine said. The body of evidence presented is certainly compelling, and fills in many of the holes not covered by other supposed outings of the mysterious Satoshi Nakamoto, who is fast becoming something of a Lord Lucan for the digital world. Previous articleWhat is Bitcoin? and how does virtual currency work?